The objective of the mural programme is to work directly with the estates vibrant and diverse community by requesting the residents to submit a short story about their own personal journey, either about their life and how they arrived to the estate, their families history, or a memorable life experience they have had. The stories will be used to inspire the artists and create a direct link for the community to the artworks. The organisers of the mural programme will distribute the stories to the artists for them to choose to interpret within their work. We want the artworks to resonate with the residents so, where possible we encourage artists to ingest these ideas and stories from local residents. We have a diverse international roaster of artists who are willing to commit/donate their time to this incredible project. We will use reclaimed paint where possible to keep the project green. 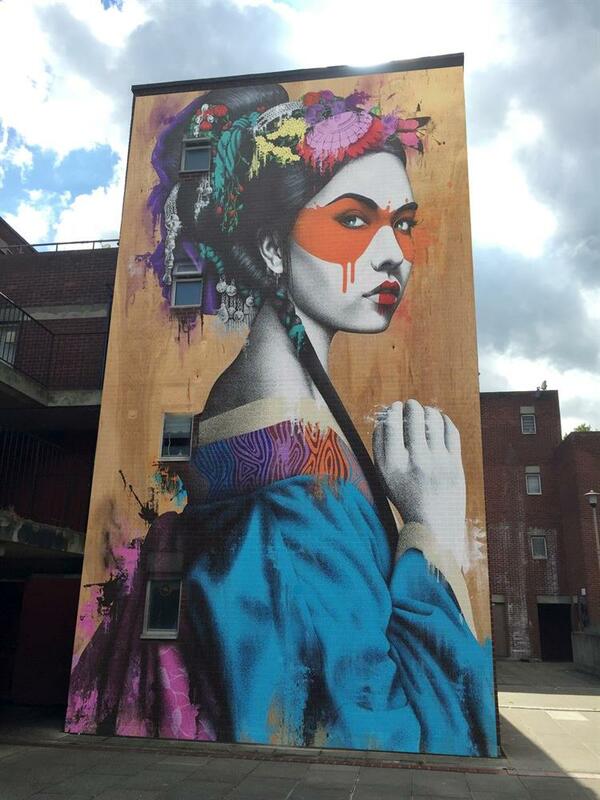 will create a museum quality street art in a run down estate which will be an open museum for everyone to enjoy. We feel that London has lagged behind the rest of the world for a few years now in terms of the positive effect of street art & what it can bring. We want to make lasting impact through art on a local community but also to have an impact in the greater community in which they work. We could generate interest through public art in South Acton without the negative impact of gentrifcation, accusations of alienating the current community or pushing them out entirely: something which street art and artists are constantly accused of. 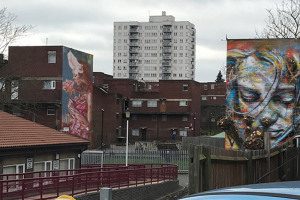 The sympathetic regeneration of this area coupled with the work of the artists they envisage painting there should have a long lasting impact on everyone who comes into contact with it. Any money made can be injected into the local community so that they benefit directly from what we’re trying to do. We have a diverse international roaster of artists who are willing to commit/donate their time to this incredible project. 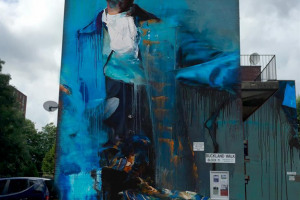 “District 13 in Paris, Vitry Sur Seine in Paris and now Kiev as a whole have become tourist destinations because of the street art projects that happened in each. There is also Bushwick in NY and Wynwood in Miami: both of which were run down neighbourhoods before street art projects happened there. Both of those locations are examples of how art has raised the positivity of the area. 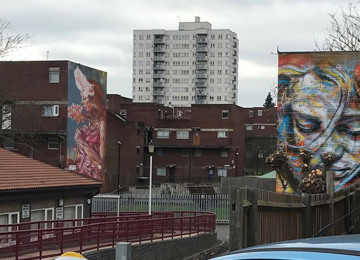 What attracts us about South Acton is that the art can be associated with bringing awareness to a neighbourhood without running the locals out over a period of time due to rent increases or house prices. Unframed will create a museum quality street art in a run down estate and will be an open museum for everyone to enjoy. While working on the murals our artists will work closely with the local community and provide workshops and talks for the community in hope to inspire them, specially the local youth. The murals will be based on stories submitted by the community. Portrait and figurative mural festival in Acton W3. 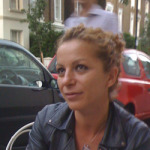 We would like to work with the local community in Acton, specially on Churchfield Road, W3, to create???? 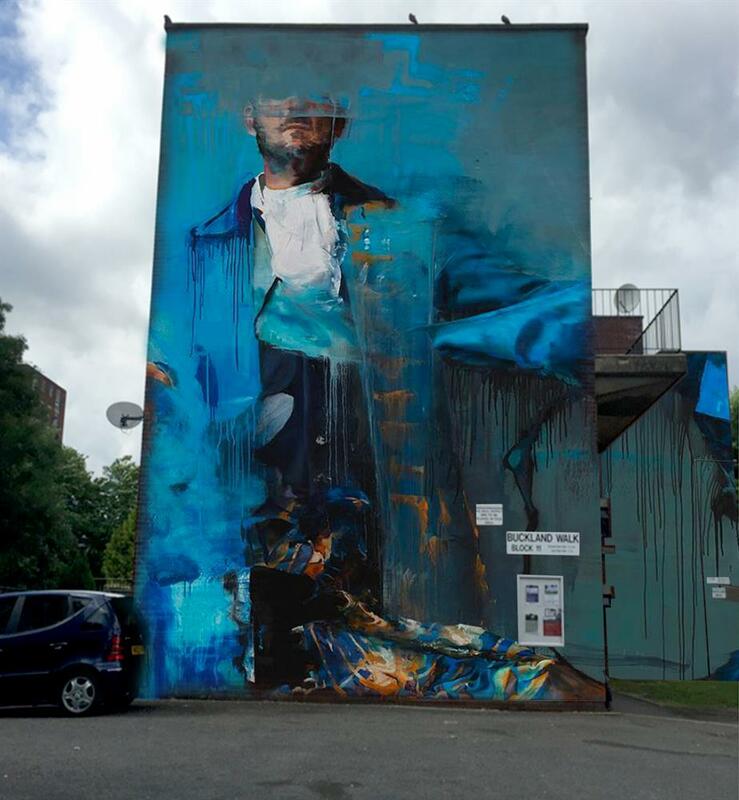 large scale murals painted by local and internationally respected artists. T? 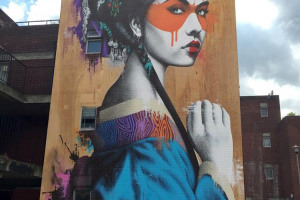 ?he objective of the mural programme is to work directly with the area's vibrant and diverse community by req? ?uesting the residents to submit a short story about their own personal journey, either about their life and how they arrived to Acton, their families history, or a memorable life experience they have had. T? ?he stories can be submitted anonymously or not, the stories will be used to inspire the artists and create a direct link for the community to the commissioned artworks. T? 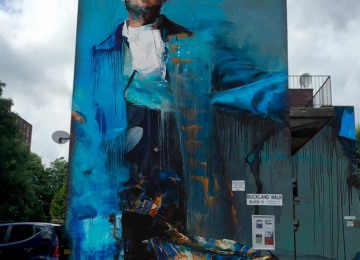 ?he stories will be submitted to the organisers of the mural programme and distributed to the artists for them to choose to interpret within their work. We want the artworks to resonate with the residents so, where possible we encourage artists to ingest these ideas and stories from local residents.